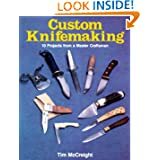 MyCreation.com - Blade Works- Hand crafted knives, swords, tomahawks, axes and more. Hand crafted knives, swords, tomahawks, axes and more. Offers a complete line of handmade, full tang, fixed blade cutlery. Hunters, skinners, fighters, fish fillet, daggers, Bowies, boot and cutlery sets. Custom leather sheath work, for your favorite knife. 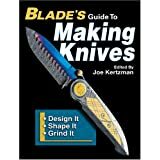 Knife repair and handle conversions. 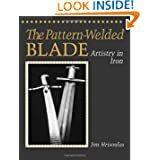 Handmade custom knives, both folding and fixed-blade (including daggers), made from Damascus steel. Using exotic handle materials such as burlwood, ivory, and stag. Johnny Stout's fine quality custom handmade knives for the user and collector. Handcrafted to perform for a lifetime, and then destined to become a valuable family heirloom.